British Foreign Secretary Jeremy Hunt: We should never recognize the annexation of territory by force. 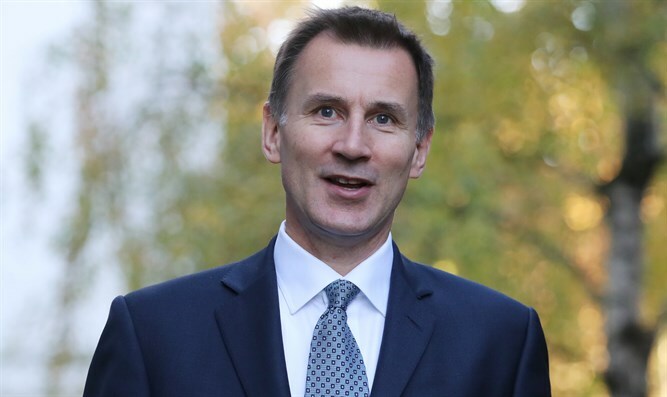 Britain’s Foreign Secretary Jeremy Hunt on Tuesday condemned US President Donald Trump’s recognition of the Golan Heights as sovereign Israeli territory, the Jewish News reports. Answering questions in the House of Commons on Tuesday morning, Hunt did not shy in criticizing the Trump White House for breaking the international consensus for not recognizing sovereignty over land seized during war. Trump last week signed a proclamation recognizing Israeli sovereignty of the Golan Heights which was liberated by Israel from Syria during the 1967 Six Day War. Israel annexed the Golan Heights in 1981, in a move that has never been recognized by the international community. As expected, the move was met with condemnation from the Arab world, with Saudi Arabia, the United Arab Emirates, Bahrain, Qatar and Kuwait all saying that the Golan Heights is “occupied Arab land”. Iran, which is the regional rival of all these states, joined in on the criticism as well. Syria accused Trump of “blatantly attacking” its sovereignty with the decision and also vowed to recover the Golan Heights in the wake of Trump’s declaration. The criticism was not limited to the Arab world, as the European Union blasted the move as well and said it regarded the Golan Heights as “occupied territory”.